Dr. Lee has been practicing general dentistry in the San Francisco Bay Area since 1999. He started the San Francisco practice in 2001, serving the diverse Richmond community. Dr. Lee enjoys all aspects of general dentistry with the emphasis on oral surgery and conservative cosmetic dentistry. He continues to look for opportunities to better his skill by participating in the American Dental Association, California Dental Association, San Francisco Dental Society, and taking continuing education courses. Dr. Lee's unique approach to his patients was born out of his unique upbringing and education. He was born in Taiwan and came to the US after finishing elementary school. His father is also a practicing dentist in Taiwan and has instilled in Dr. Lee a strong work ethic and advocacy for his patients. Dr. Lee is fluent in English, Mandarin Chinese, and Taiwanese and is culturally sensitive to each of his patients. 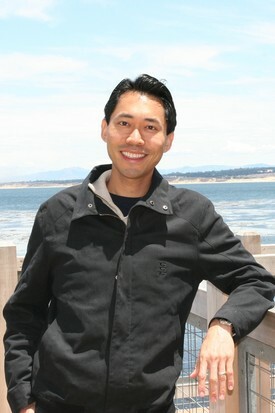 Dr. Lee graduated with honors from the University of California, Irvine in 1995 with a bachelor of science in biology. He also graduated from the University of California, San Francisco with honors with a degree in doctor of dental surgery (DDS) in 1999. To broaden the scope of his practice, he attended The University of Miami's implant continuum and received his Fellowship from the International Congress of Oral Implantologists (ICOI) in 2003. In 2015, he received the Diplomate credential, the highest credential, of the ICOI. Dr. Lee takes time to listen to each of his patient's needs and caters his treatment plans to meet the patient where they are. He enjoys seeing his patients satisfied with the work that he has done and looks forward to maintaining a long-term relationship with each of his patients and their family. Dr. Lee is married and has three kids that he adores. He enjoys scuba diving, traveling, tennis, swimming, and skiing with his family and friends. He is also actively involved with his church and the community. Please ask him about what he loves most about the ocean when you see him. Known for her gentle touch, Dr. Liao focuses on providing comfort and the best care to all her patients. She is an active member of the California Dental Association, the San Francisco Dental Society, and the American Dental Association. Dr. Liao graduated with honors from the University of California, Los Angeles in 2000, majoring in psychobiology. She received her dental degree from UCSF School of Dentistry in 2005. In addition, she completed a general dental residency program in New York in 2006. After practicing in New York City for 3 years, Dr. Liao decided to make the move back to San Francisco in 2009 and has enjoyed being back in California and serving the San Francisco Bay Area’s diverse population. She has been a member of Dr. Wayne Lee’s office since early 2009 and has been blessed to be a part of his team. Dr. Liao shares Dr. Lee’s practice philosophy that patients are precious and that we are here to meet their needs. During her free time, Dr. Liao enjoys traveling, enjoying good eats, photography, and exploring the Bay Area. One of Dr. Liao’s goals in life is to visit all seven continents around the world and she has only one left to go. Please ask her about her travels when you see her. Dr. Duong is a general dentist practicing with Dr. Lee since 2007. Dr. Lee and Dr. Duong share the same practice philosophy that patients are precious and doctors serve to meet their needs. Dr. Duong worked several years in the customer service industry prior to becoming a dentist. He strives for “5 star” service, which includes treating all patients like a member of his family. Many people avoid the dentist because of the fear of pain. Dr. Duong has unique techniques to minimize pain for a comfortable experience. 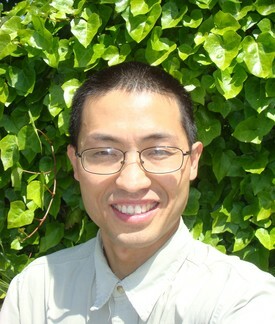 Dr. Duong received his dental degree from the University of the Pacific School of Dentistry in 2006. He elected to do a year in an Advanced Education in General Dentistry residency program after graduation to further his knowledge and training. He maintains membership in ADA, CDA, SFDS, and AGD. Some of Dr. Duong’s hobbies are experiencing different restaurants, traveling, singing, and seeking adventures. Please ask him about his favorite restaurants when you see him. Dr. Ding is a dentist specialized in providing orthodontic care. Dr. Ding received his dental degree at University of California, San Francisco. After receiving his dental degree, Dr. Ding practiced family dentistry and provided comprehensive dental care in the East Bay communities for seven years. While in practice, Dr. Ding took numerous continuing education programs in orthodontics but felt unequipped to provide the best orthodontic care possible for his patients. In the seventh year of practice, Dr. Ding made the difficult decision to return to dental school full time to pursue an advanced education in orthodontics. Dr. Ding attended New York University, one of the most clinically rigorous orthodontic specialty programs in the United States. Dr. Ding is a board eligible orthodontist with specialty accreditation recognized by American Dental Association (ADA), American Board of Orthodontics (ABO), and American Association of Orthodontists (AAO). Dr. Ding is a member of ADA, AAO, California Dental Association, and local member of Berkeley Dental Society. Throughout his dental career, Dr. Ding has ascribed to the value of providing the best treatment possible for his patients. To this end, Dr. Ding has kept abreast of the latest studies and treatment methodologies by attending numerous continuing education programs and by maintaining close affiliations with local dental schools. Dr. Ding currently serves as an adjunct professor in the Department of Orthodontics at the University of Pacific, School of Dentistry, providing clinical instruction in Invisalign treatment to dental students. Dr. Ding is married and has two sons. His hobbies include spending time with his family, hiking, camping, watching Japanese dramas, and reading science fiction novels. Please ask him about his favorite novels or dramas when you see him. Dr. Chen is a periodontist, a specialist in the treatment of gum disease. Periodontitis affects the foundation that surrounds teeth (i.e. bone loss). The periodontal disease afflicts many but is often not clearly understood. She wishes to educate and empower her patients to sustain their health gums. She also provides treatment and care to those suffering from periodontal disease and guides them back to health. 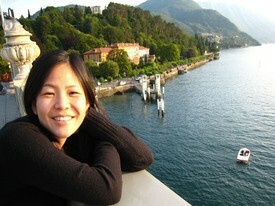 Dr. Chen spent her early years in Taiwan and relocated with her family to Northern California. She is proud to identify herself as a native of the East Bay. 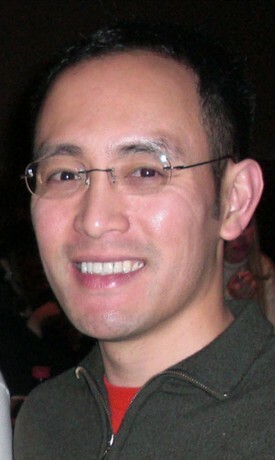 Dr. Chen graduated from UCLA with a major in Microbiology. Dr. Chen was excited to return to the Bay Area to attend UCSF School of Dentistry. 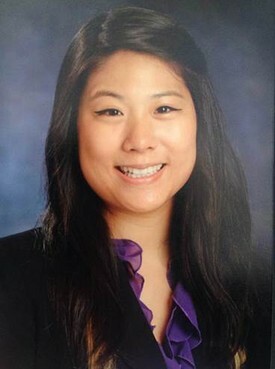 Dr. Chen was accepted into the prestigious UCLA Post-graduate periodontics and Implant surgery program, where she spent three years learning biology, treatment, and outcomes of periodontal disease along with the philosophy and techniques in implantology. She is an active member of the American Academy of Periodontology, American Dental Association, and California Dental Association. Dr. Chen speaks Mandarin, enjoys volunteering and participates in community dental health events. In her free time, she likes to explore local eateries and spend as much time outside as the San Francisco sun allows. She also enjoys kicking back and watching television at home. Please ask her about her current favorite television shows when you see her.